Share your experiences with Supro? Q. Can we go long drives in Mahendra Supro ZX with family? Q. 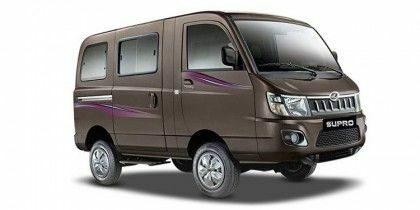 Does Mahindra Supro 8 seater have Heater and AC? No Mahindra Supro 8 seater is not equipped wit air conditioner and heater. Q. What is the tyre size and actual mileage? Q. What is the max weight capacity load handling? Q. What is the cargo volume of Mahindra Supro 8-seater? Q. I have problem of shifting Reverse gear despite my supro is just 1 days old.! Is it normal. ?